Wii successor or typo protector? Is the Zii about to overshadow the Wii? Nintendo has been busy trademarking a new word, it has been revealed, one which is remarkably like the name of their successful games console, the Wii. The word is, wait for it, Zii. What this actually means is unknown. All we know is that Nintendo decided to get its mucky paws on the Wii-like word moniker back in October, with the Japanese trademark database just releasing details of the acquisition this week. It may be that Zii has been snapped up because it doesn't want the typo brigade in on the Wii name. This is unlikely though, considering you would have to have pretty big digits to mistake a W for a Z. 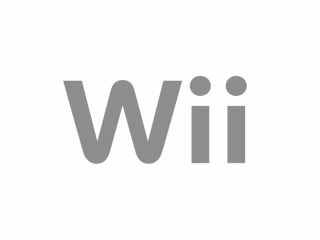 It's more than likely that the name could well be the upcoming Wii update, which is rumoured to have a Blu-ray drive which would bring high definition to the console for the first time. Or, it could well be an accessory for the Wii. Considering Nintendo changed the name of its stupidly successful console from the Revolution to the Wii, it may be that the Zii may never see the light of day. Saying that, we're betting that it's a new Wii add-on for asthmatics to to improve lung power, called the Wii-Zii. Geddit? Whee... why do we bother? It seems that Creative Labs has the domain to Zii.com, which points you to its lovely looking touchscreen, Android-toting and stemcell powered device. A device which will be used for both movie watching and game-playing. This suggests that Nintendo's Zii trademark is Japan-only. If it's not, then things could get very messy indeed.